Learn about the Christmas gift tins sent to soldiers in the First World War and make your own in this free family craft session. Can you imagine what Christmas would have been like for soldiers serving in the First World War? 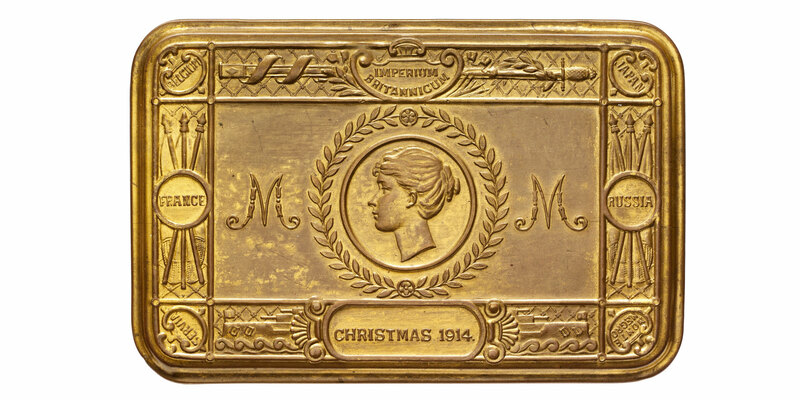 In 1914, Princess Mary, the 17-year-old daughter of King George V, decided to send every soldier a Christmas gift tin to cheer them up and provide them with treats for the festive period. Learn more about the gift tins in our collection and get involved by creating your own.